What’s on: Playa Nomade is the new beach club set to replace El Chiringuito on the Palm, which sadly shut down after a stellar run. The revamped day-to-night party spot will make its big unveiling on Friday, October 5 for a launch party — we’ve got high hopes that this beachside venue will come back bigger and better. 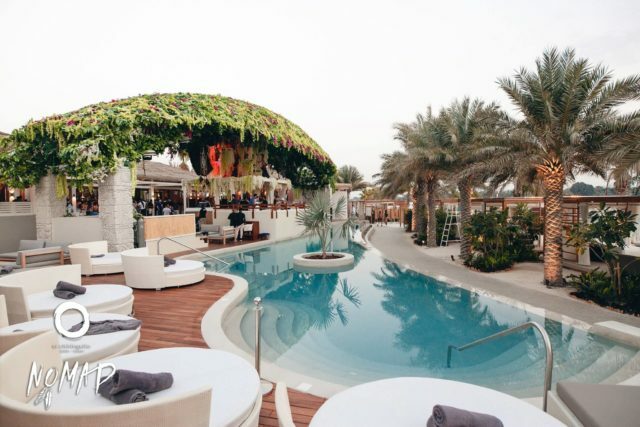 What’s on:: Andreea’s in Dubai Marina is a popular brunch hotspot that’s big on poolside fun. This day-to-night hideaway serves up an extensive menu of foodie favorites and cocktails, along with a live DJ to keep the party vibes going. There’s also ladies’ day every Thursday and Friday with entry priced at AED 125 inclusive of unlimited frozen beverages from 12pm-6pm. What’s on: If you’re based around the Marina and prefer an upscale vibe, head down to DRIFT Beach. It’s a fashionable hangout with a gorgeous infinity pool, private beach and in-house restaurant serving up Mediterranean specialties. For peak relaxation, they’ve also got hammocks set up on the sand. Don’t miss ladies’ day is every Monday and Tuesday with entry priced at AED 125. 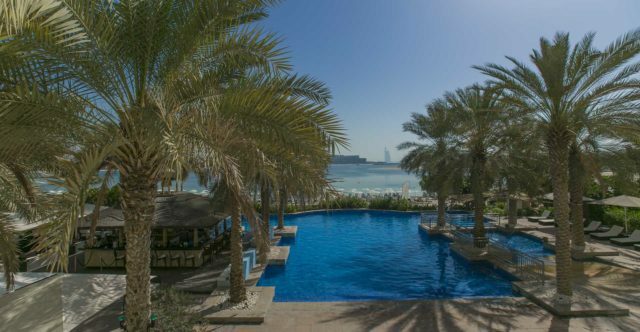 What’s on: Isolated away from the city bustle is RIVA Beach Dubai on the Palm. A great escape for poolside lounging and sunbathing on the shoreline, they feature offers like Man-Day Mondays with discounts on hop buckets and a meaty roast medley, Baewatch ladies’ day every Wednesday with 50% off the day pass along with 3 free drinks, and happy hour deals Saturday-Wednesday from 4pm-8pm with selected drinks for AED 28. 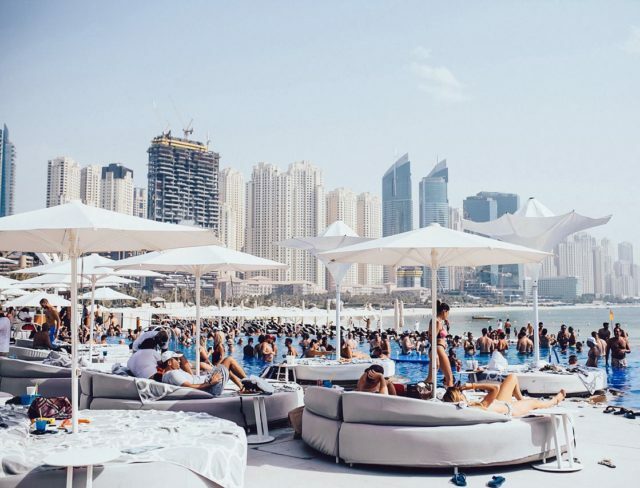 What’s on: With its massive infinity pool and killer location in the heart of JBR, Azure Beach certainly knows how to make an impression. 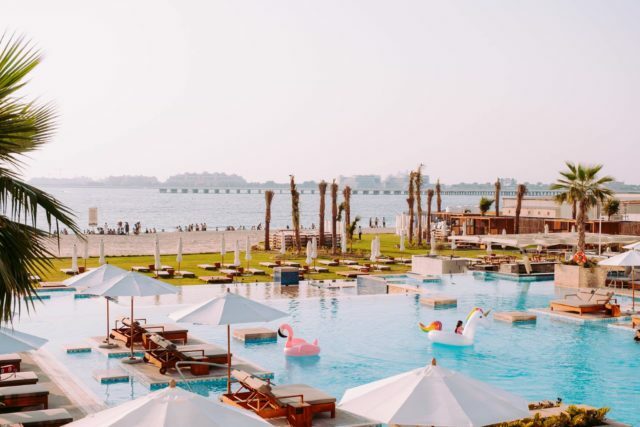 Featuring a shisha terrace and Ibiza-style parties at the weekend, snag one of the coveted unicorn pool floats while enjoying views of Ain Dubai and beyond. Don’t miss 2-for-1 on house bevvies from 6pm to 9pm at the Azure Lounge. 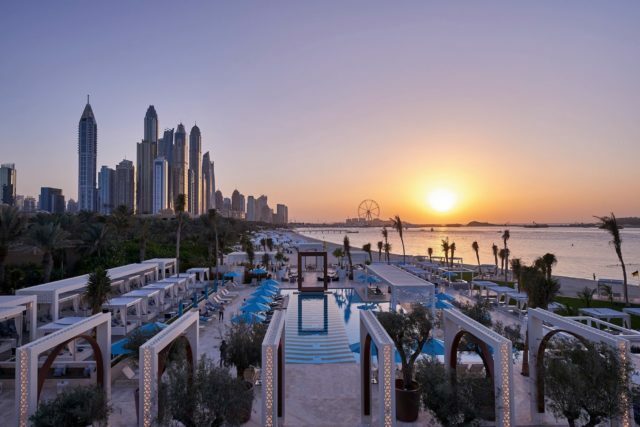 What’s on: Nikki Beach Dubai showcases the best of Miami vibes, cosmic music sets and gourmet dining. Beachwear and stilettos go well together poolside, as guests relax, lounge and dance in bottle-popping fashion. 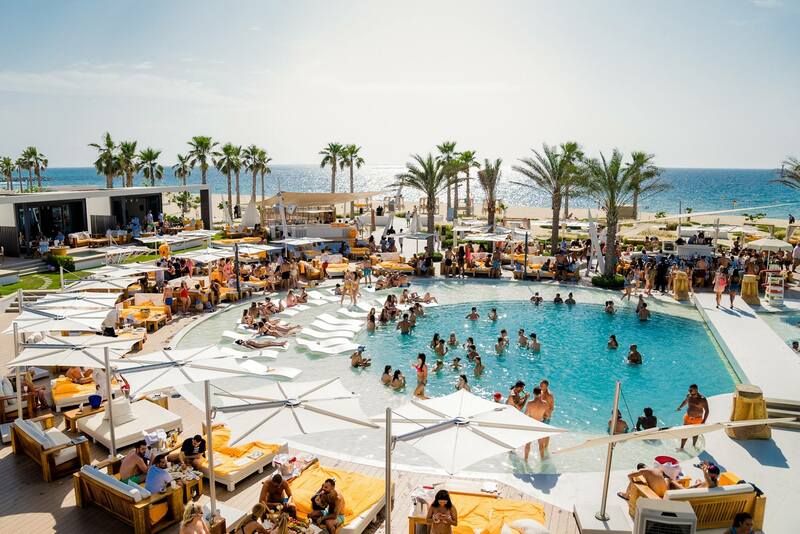 With its all-white décor, lavish service and VIP appeal, Fridays spent partying under the sun have become unmatchable since it arrived on the scene. 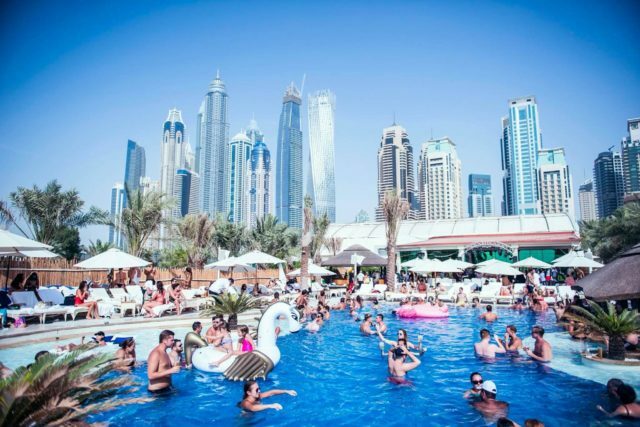 What’s on: One of the most popular weekend hangouts in town, come down for Zero Gravity Dubai’s beach day brunch Supernatural every Saturday from 12pm-5pm, with all-inclusive packages priced at AED 249 for ladies and AED 299 for gents, along with 2-for-1s from 5pm-8pm. Spend the day in their glass-fronted infinity pool while DJs keep things flowing – it’s an easy choice when you’re scrambling for something to do.